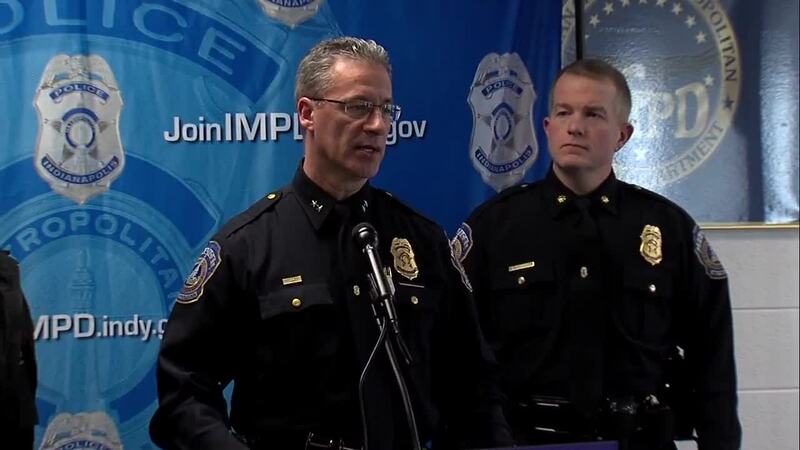 Indianapolis Metropolitan Police Department detectives and officials say the investigation into a missing 8-month-old is a "homicide investigation." 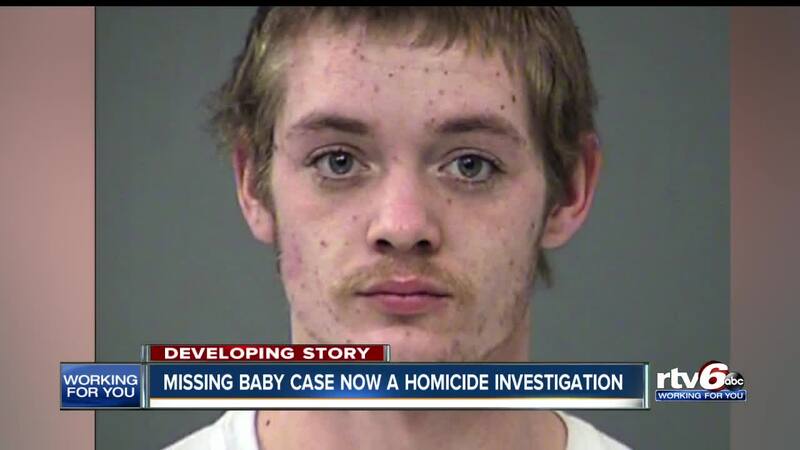 INDIANAPOLIS — Indianapolis Metropolitan Police Department detectives and officials say the investigation into a missing 8-month-old is a "homicide investigation." Amiah Robertson was reported missing on March 16 and police issued a statewide Silver Alert for her on Tuesday. The investigation is a homicide investigation, IMPD Chief Bryan Roach said. 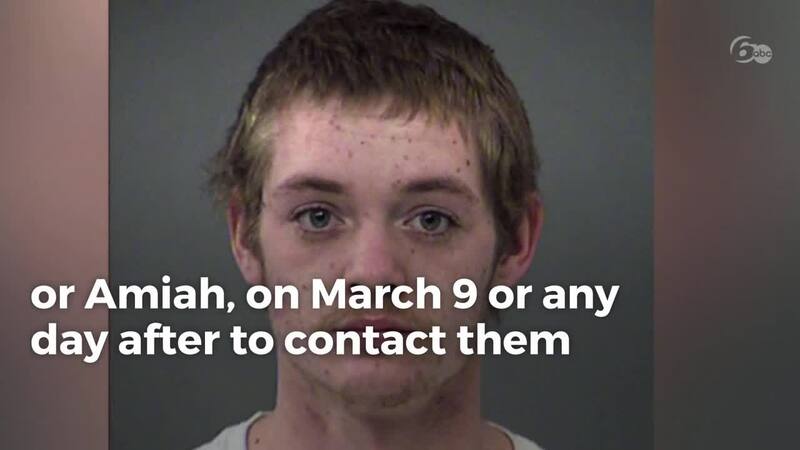 Investigators are asking for anyone who saw Robert Lyons, the boyfriend of Robertson's mother, and or Amiah Robertson on March 9, or any day after, in the area of Rockville Road and South Mickley Avenue to contact investigators. Lyons is believed to have traveled in a 1996 maroon Isuzu Rodeo in poor condition. IMPD says Robertson's mother is not a suspect and has been cooperating with detectives. Police have not located Amiah Robertson. On Tuesday, IMPD detectives executed a search warrant at a residence in the 200 block of South Holmes Avenue, IMPD said in a press release. Detectives and dive team members from the Indianapolis Fire Department searched a river bank on Wednesday—less than a mile away from where the baby was last seen, IMPD said a press release. Their search was inconclusive. Detectives continued their search on Thursday downstream, IMPD said in a press release. Community volunteers joined detectives on Friday to expand their search. Detectives canceled the Silver Alert at 11:59 p.m. on Wednesday due to a limited response from the hot line, IMPD said in a press release. Anyone with information on the incident is asked to call IMPD Missing Person's detectives at 317-327-6160, 317-327-3811 or Crime Stoppers of Central Indiana at 317-262-8477.